← My First Quilt: finished quilt top! Taking up all available floor space in my craft room, here’s the robot quilt sandwich – quilt top, cotton quilt batting, and the backing. I combined two fabrics from my pile of thrifted sheets to make the back. Following the suggestion of the book from where this quilt pattern came, I used a long piece of wood (from a very unfinished shelving project) to mark a diagonal line across the quilt, then put a piece of masking tape next to that straight edge to mark my first quilting line. 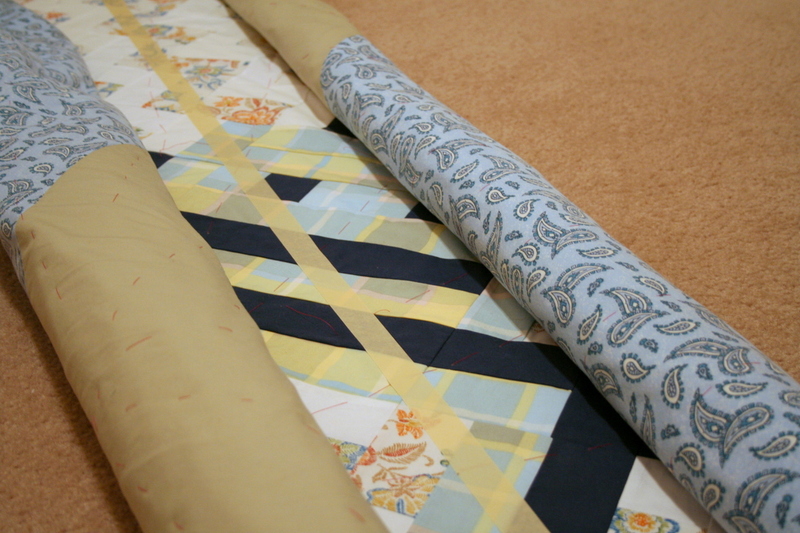 I rolled the two sides in towards the line so the quilt will fit through my little sewing machine. 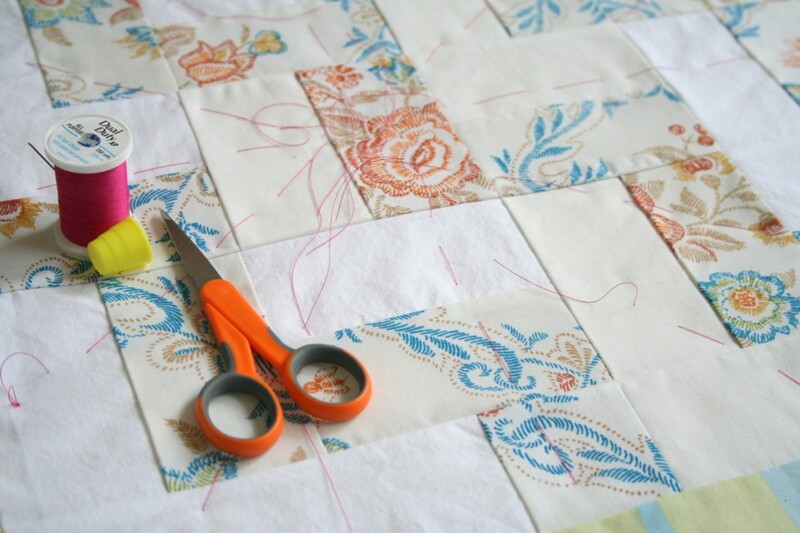 Next up: the actual quilting of My First Quilt! 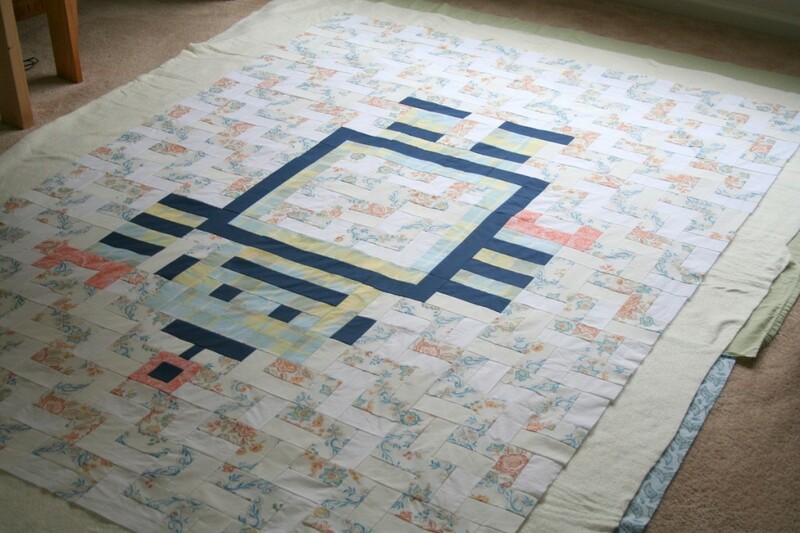 I think the robot quilt is very cute!